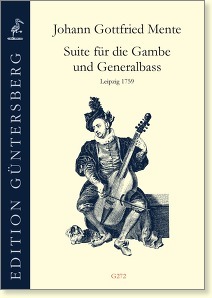 In this Suite, the influences of French viol music (Marais) mix with those of German sensitivity (J. G. Graun, C. P. E. Bach, Schaffrath). Rapid scale passages and multi-voiced chords characterize this catchy and captivating music. It is certainly not a coincidence that Mente chose the key of A Minor, since it offers the possibility of exploiting to the full the low notes of the seventh string. 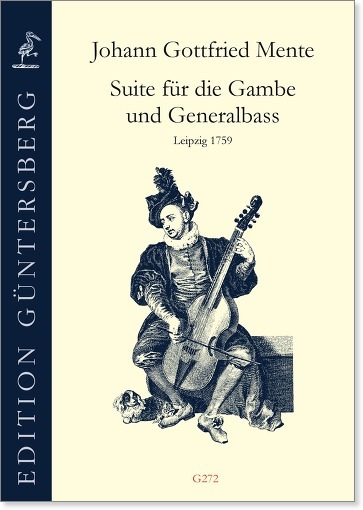 Mente was obviously an outstanding artist on this instrument, and the Suite deserves a place in the repertoire of late viol music from Germany.